Duck season is in full swing across the country, and as the birds travel down the flyways, they have seen and heard a lot of hunters working their calls and throwing shots skyward. Stay Real—Decoys are a critical aspect of the waterfowling game and while technological advancements in waterfowl loads such as Winchester’s Blind Side, allow for more distant shots than older loads, a hunter still wants to bring a flock of flyers right into its setup for optimum shooting. 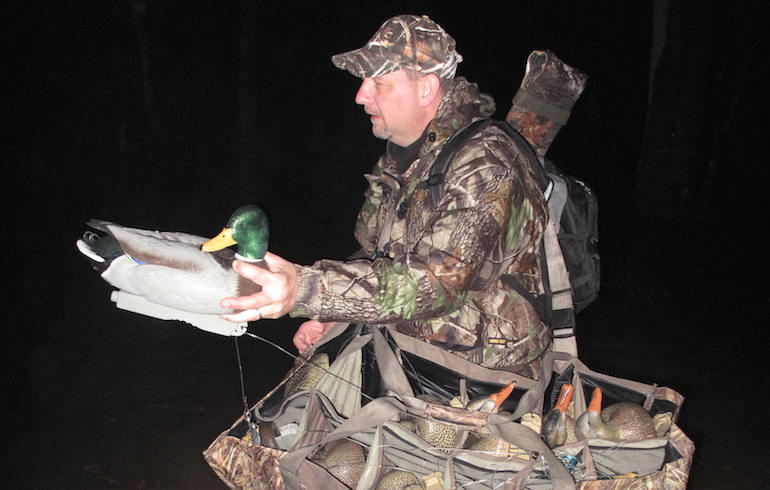 Stored in bags and beat around in the bottom of boats, decoys get banged up over time. Remember, a duck’s eyes are keen. Details matter. Touch up old battered decoys with basic latex point, using flat colors for the body and satin finishes for areas of the head and body you want to contrast and shine. Muddy The Waters—Feeding ducks in shallow water stir the bottom up creating muddy water. Clean, clear water looks unnatural to ducks preparing to drop in and could cause them to flare. Between incomers, stir the water up with your boots, a paddle or even a large stick, wading through your spread and grinding your feet in the bottom or digging the paddle or stick into the mud below to make the water dirtier. Keep It Moving—Many hunters recognize the importance of motion to their decoys and ripples in the water and will pump their legs in the water to create the motion. But be careful as ducks approach as they will detect the movement. Instead, mount an electric trolling motor to your blind or on a wood frame painted to blend in and set it near your spread, allowing the propeller run just below the surface. Not only will the motor provide continuous motion, allowing you to concentrate on your shot as ducks drop in, but in extremely cold weather, that continuous motion will also keep the water from freezing up. 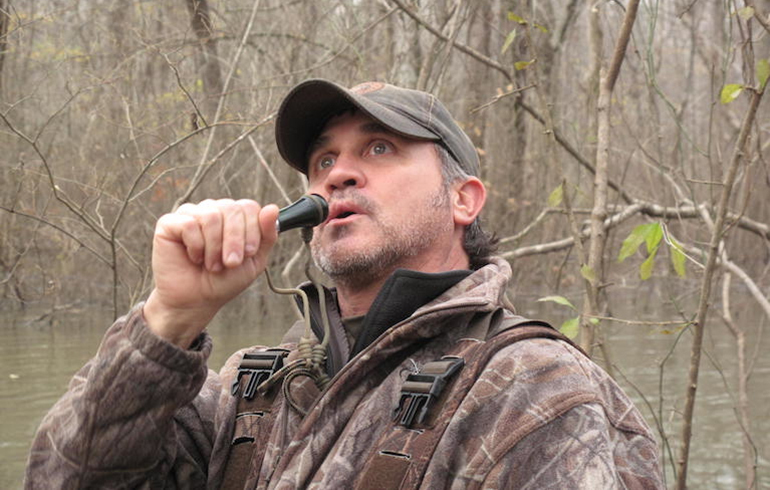 Essential Gear—One of the best pieces of waterfowling gear to carry along with your calls and shells may just be a sturdy pair of ratchet cutters or a small, folding brush saw like those used by deer hunters. With these you can quickly and easily spruce up a blind that needs more brushing in, or more importantly, when flight patterns require a quick change along the bank, a hunter can quickly cut limbs to drive into the ground and prepare instant cover from which to shoot. Get Lazy—On those slow days where the weather is warm and still or cloudy skies allow ducks to see every detail as they prepare to land, experts recommend adding a few sleeping decoys as well as field decoys to your waterside mix by lining them along a log. This better mimics how ducks will actually act in these conditions, making your spread look more realistic.